Selling the Most Important Home in VA, MD & DC...Yours! 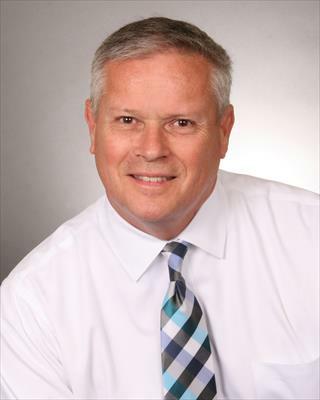 Brad Wisley is the leader of Berkshire Hathaway HomeService PenFed Realty’s #3 team in the Mid-Atlantic Region, lifetime Top Producer and a member of the Northern Virginia Association of Realtors. He is a Midwesterner, hailing from the Hoosier state of Indiana, where he attended Indiana University and a graduate of Kentucky Christian College. Brad has served as a member of the board of directors for his local Real Estate Association. He brings more than 30 years of sales and management experience to our team. Brad and his life partner Brenton reside in Alexandria, along with their lab Riley and potbelly pig, Eddy. Brad is the team leader of Wisley Greco & Associates and lives by an open door and open ear policy to be readily available to assist in all of your real estate needs. He serves the real estate community in VA and DC. Emily is a transplanted New Englander who has made the Washington area her permanent home. She is an Honors graduate of Wheaton College in Norton, MA. She and husband Larry have three adult children and three–soon to be four–grandchildren. Emily has been a licensed Realtor® in Virginia since 1994. Her real estate specialty is knowing what’s on the market in Northern Virginia. Dubbed the “Inventory Queen,” Emily makes it her business to know all the houses available for sale as well as the exact needs and wants of her buyers. Her combination of listening and keen product knowledge account for the fact that a third of her clients find their “Dream Home” on the first day out! With over 38 years of real estate experience selling homes in the Arlington Virginia area, Peggy brings a wealth of experience and knowlege to her clients. Licensed since 1978, Peggy is an NVAR Lifetime Top Producer, Lifetime Multi-Million Dollar Club member, and has consistently been a Top 20 Agent since 2001. Peggy's extensive knowlege of Arlington area properties makes her the go-to for anyone looking to buy or sell in the area. Max is a very energetic person as well as a tech savvy agent Majoring in Communications Specialization, a mass media focused degree, he brings to the team skills as an astute conveyor of information and negotiation. He understands modern marketing, and economic trends. Max started his career in 2006 before the historic housing market downturn, and is experienced with handling many different types of sales scenarios. Licensed in VA, MD and DC, Max can help you buy or sell properties throughout the DC Metro area. A native of Virginia himself, he has an in-depth knowledge of this area that benefits his clients whether selling or seeking a home. From Millenials to Octogenarians, Max provides excellent communication to his cliens throughout the real estate transaction process and is committed to seeing you from door-to-door in your journey from this home to your next one. Whether purchasing your first home or selling your tenth, a home is much more than the sum of its parts; it’s a commitment to the next chapter of your story. That’s why it’s so important to choose the right representative- one who is not simply a salesperson, but who will take the time to listen, learn and understand your individual goals and needs while arming you with sound advice and a keen eye on the finer details along the way. With a background in home improvement, economics, marketing, communications and a natural aptitude for negotiations, I have uniquely positioned myself to guide you home in confidence. As an agent I understand that buying or selling a home is more than just a transaction: it’s a life-changing experience. That’s why I am dedicated to providing exceptional, personalized service for all my clients. I take great pride in the relationships built, and always work relentlessly on my client’s behalf to help them achieve their real estate goals. Being born and raised in the Washington, D.C. area, I joined Wisely Greco & Associates in January of 2019, bringing a wealth of real estate experience and more than a decade of hospitality management, event coordination and local marketing experience from my previous profession. I decided to team up with WG&A so I could continue to offer my clients the personal and unique approach to all their real estate needs. I knew it was important to surround myself with the top talent in the industry, in order to thrive and find success in a savvy and competitive market, like the Washington, D.C metro area. With Berkshire Hathaway always striving to lead the field in research, innovation, and consumer education, I now have the tools. I understand that today’s buyers and sellers need a trusted resource that can guide them through the complex world of real estate. With our collective knowledge, and commitment to providing only the best and most timely information to my clients, I want to be your go-to source for real estate insight and advice.